Have you heard about Luckin Coffee? Do you follow tech-bros on LinkedIn? No? Ok, let me give you the quick summary: coffee delivery company with the deepest of pockets opens 800+ stores across China in less than a year, undercuts and rivals Starbucks (especially since Starbucks does not do delivery themselves – yet). It’s the talk of the tech world, especially since they recently secured a round of funding that values them at more than a billion USD. What all these breathless China Biz articles focus on, however, is the company’s growth, not the actual product. So this afternoon, I took my coffee guru and a bag of Luckin coffee down to the local Starbucks to do a side-by-side comparison. Anna Solovyeva has been to more coffee shops in Shanghai than anyone else. Period. She keeps a meticulous spreadsheet of all the different shops she’s been to and evaluated, and that number now exceeds 400. She also wrote two exhaustive articles detailing a fraction of her finds. She knows a lot about coffee. So I met her at Starbucks to compare lattes and Americanos. The result? Luckin wins on account of better, fruitier beans. That, despite the Luckin latte showing up without any foam (and hence, technically a café au lait), and Luckin being cheaper by a few kuai on all drinks, including delivery. 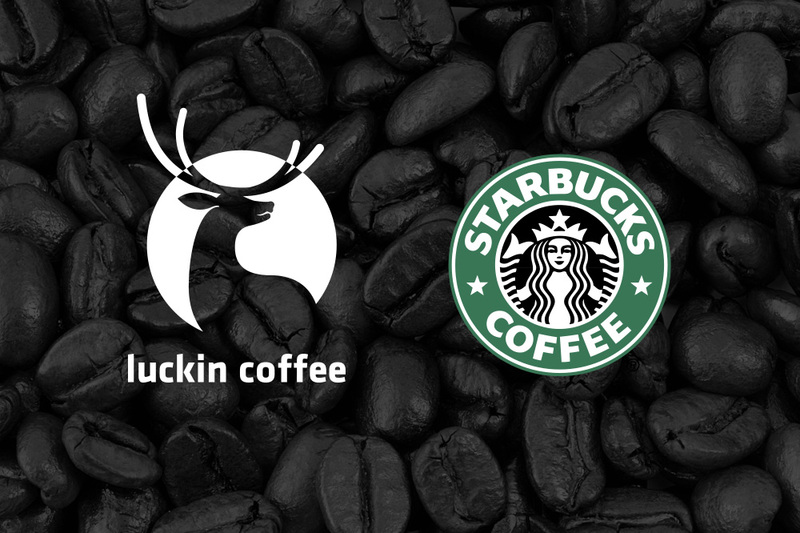 The granular analysis found that Starbucks’ clear Americano was probably slightly stronger than the cloudy Luckin one; that Starbucks may use cheaper robusta beans in their Arabica mix; and that Luckin appears to be competing on both price and quality. Disagree? Download the Luckin app for your phone and take the test yourself.